I’ve been seeing the previews for the movie “Warm Bodies” featuring the kid from “About a Boy” who’s not such a kid anymore. Yes, that’s him. IMDB it. Blew my mind, too. The previews for “Warm Bodies” make me smile, and the book has been on my to-read list for awhile, so I picked it up this weekend and didn’t put it down until I finished. It’s that good, but it does make me wonder how in the hell they’ll turn it into a movie. 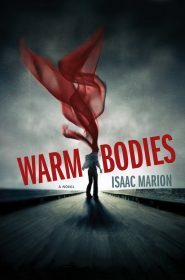 Warm Bodies is about R, a zombie living in an airport with a bunch of other zombies. They don’t remember anything from their past lives, including their names, and they just wander around the airport, grunting. Occasionally they have to go into town to scrounge for food, and on their latest hunt, things start changing. When a zombie eats our brain, they can see our memories. As R and his friends attack a group of people, R eats Perry’s brain and instantly has some memories about Julie, a young woman about to be attacked by R’s best friend, M. R saves Julie from M and rubs zombie guts on her, blocking her human scent from zombies. He brings her back to the airport to keep her safe, something he’s never done before. The rest of the book is about Julie learning about R, R learning about Julie, and this zombie-infested world crumbling. There are other characters, and really bad zombies called Boneys, but for me this is all about Julie and R. And Perry. This is where I wonder about the movie. R eats bits and pieces of Perry’s brain throughout the rest of the book, getting more of Perry’s memories in his head. 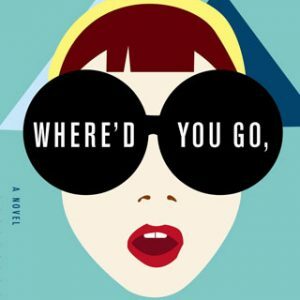 A lot of this book takes place in R’s head, because even though he doesn’t remember who he is, he constantly thinks about the world and about Perry’s life. I’m not sure how this will play on the big screen, but in the book it made me fall in love with R. R is pretty dreamy, even if he is a decomposing, stinky zombie. This book is nothing to take serious, but it was a damn good time, and I heard that it will be series with the second book coming out in 2014. I’m not so sure I’m excited about that. The book ends perfectly, so I don’t really know where a second book will go, but I will definitely read it.